"I No Longer Feel I Can Represent The Company"
Earlier today, Alex "Kanu7" Millar resigned from his position as a member of "Team Pokerstars Online". Millar, who is considered one of the top No Limit Hold'em cash game players in the world, is the first player to step down from Pokerstars in the wake of the company's controversial decision to make substantial changes to its VIP program. "I'd like to apologise to the players for my complete failure to be able to help in any way with the recent pokerstars VIP changes (1/2)"
"With @RealKidPoker eventually failing as well I no longer feel I can represent the company and I have now left Team Pro Online (2/2)"
"I feel part of an organisation which really looks after its players and represents poker in the best way it can. I couldn't imagine myself representing any other site." A number of Pokerstars regulars recently staged a three-day strike, hoping that the company would change their mind on the proposed changes to the VIP program. 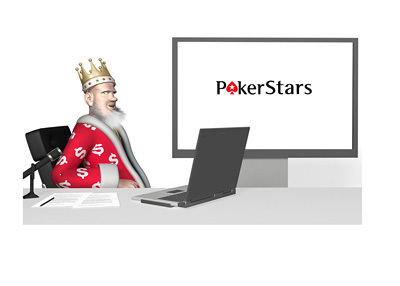 Not only did Pokerstars not change course on their decision, but they also circulated a statement in which they thumbed their noses at the sit-out, saying that it actually showed that the changes are necessary and will improve the poker ecosystem. Many people were hopeful that Daniel Negreanu, who is the face of Pokerstars, would resign in the face of the unpopular decision. Negreanu, however, said that while he tried to delay the changes, he did feel as though they were best for online poker. Alex Millar represents the first person to step down in the face of the recent changes - will others follow?